t These are not easy texts for children. That makes me inclined to celebrate the Ascension of the Lord which could be celebrated either on Thursday of this week or on this Sunday. It is also a fact that the Ascension story both completes the Easter Season and sets the stage for Pentecost next Sunday. Go to Year B - Ascension of the Lord (2015) for Ascension Day suggestions. t Whether you use the Seventh Sunday of Easter texts or Ascension texts, enjoy the final Sunday of Easter with lots of alleluias in songs and prayers. “Come Christians Join to Sing” is one choice with a repeated chorus of alleluias for the young readers and verses that praise the risen, ascending Christ in simple words for the older readers. t Schools close for the academic year anytime between mid-May and late June. That event is intensely important to all the children and most of their parents and teachers. Go to School's Out!!!! to explore ways to include the joys and trials of the end of the school year in your congregation’s worship. I will also include some text-specific suggestions in the upcoming Sundays. t The end of the school year is all about achievement. Awards are given for academic achievements. Grades are reported. Even the fun stuff like the annual field day is all about winning ribbons and trophies. Add to that the pressure to be chosen to be on the team and get off the bench to play in summer sports and to be accepted for special summer camps and May becomes a month of wanting to be chosen. We know nothing about either Matthias or Justus except that Matthias was chosen and Justus was not. Ouch. Shortly thereafter there was an election of deacons and Justus didn’t make that list either. Double ouch. After pondering Justus’ unchosen-ness, go back to Matthias. Point out that though he is the chosen one here, we don’t hear a single thing about what he did. You might also run down the list of the 12 disciples pointing out how many of them we know nothing about. Then point out that these un-famous, unknown people started the church that spread across the entire world. God seems to use average, un-special, un-famous disciples (like us?) to do important work. From there you can go straight to praying for everyday disciples or explore the places everyday disciples will be needed every day this summer at pools, on sports fields, in the back seat of cars, at home, etc. Sing “Guide My Feet” with its repeated phrases to prepare to be God’s everyday disciples every day this summer. t The over simplification of the difference between good people and bad people in this psalm appeals to children who do not yet realize that almost no one wears a totally white or black hat. So direct the psalm to them. The adults, who struggle with the nuanced differences between the good and evil, will listen and get the psalmist’s point too. t To make the comparison between “the good” and “the evil” visual, have the psalm read by two readers (perhaps Reader 1 wearing light colored clothing and Reader 2 wearing dark clothing). One reads the verses about the good. The other reads the verses about the wicked. They begin standing back to back in the center of the sanctuary. Each one turns to recite their verses facing the congregation then returns to the starting position. This is most effective if the readers actually recite their verses from memory. NOTE: I used the NRSV in the script because this psalm is well known in this version. You may prefer Today’s English Version. t Visualize the major images in the psalm with a display that juxtaposes a lush leafy plant and a vase of dry brittle weeds/straw. (BTW, talk in advance with the flower arranger so the weeds aren’t an elegant display!) Point to the displays before reading the psalm or talk about them during the sermon to explore the psalmist’s message. t Reread “They are like a tree planted by the river of waters.” Laughingly note that we are not plants. Plants don’t have any say in where they are planted. But, people do. We can plant ourselves in front of a video game screen or on a soccer field or in lots of other places. We can also plant ourselves at church. Note that spending some time planted in front of video screen or planted on a soccer field is fun and fine. But, this psalm insists that we also need to plant ourselves at church. We need to spend time reading and talking about what God has said in the Bible. We need to spend time with people who think God’s ways are important. We need to sing and pray and laugh with God’s people. When we do we slurp up God’s love just as a tree slurps up water and we grow big and strong, and bear lots of really good fruit. t Alice in Wonderland is not all that familiar to children today. 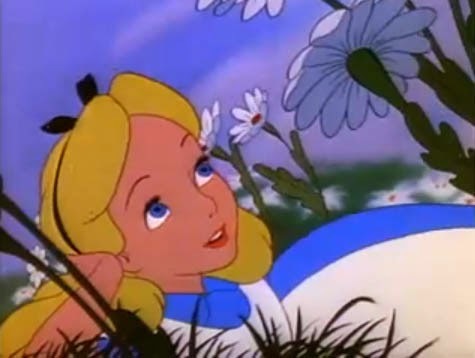 But, Alice’s problems with choosing the bad advice of signs that said “EAT ME” and “DRINK ME” could be explored as examples of what happens when we follow the advice of the wicked. t Before reading this passage introduce the term “eternal life.” Point out that often when we use it we are talking about our life with God after we die. Insist however that eternal life means our life with God right now as well as after we die. Jesus is as interested in our having full rich good lives every day right now as he is in that we have good safe lives after we die. Then encourage worshipers to listen for eternal life in John’s letter. t A discussion of John’s message about eternal life with children has to begin by exploring the possibility of being physically alive but feeling dead. To children to be alive is to be breathing, eating, and active. If you describe the possibility of being physically alive, but being so mean, crabby, sad, unhappy, and greedy that you might as well be dead, older children will catch the difference, but the younger ones will not. t To further explore eternal life, present a series of pairs of mini posters. Each pair offers an example of being alive but dead and an example of being eternally alive. Present each pair citing examples and comparing how it feels to live in each one. (Younger children appreciate the clue offered if the life words are printed on bright yellow paper with a glitter pen and the death words are printed in black on gray paper.) The conclusion of this discussion is that Jesus came to bring us real life, eternal life. t Children will quickly get lost in John’s convoluted version of Jesus’ prayer. They count on worship leaders to tell them what is going on and to summarize Jesus’ prayer. What is going on is that when Jesus knew that he was going to be killed very soon, he prayed not for himself but for his friends. He loved them. He told God that he had taught them everything God sent him to explain to them. He asked God to protect them. The protection he wanted was not that they have easy lives, but that they not get trapped into evil. If it is very near the end of the school year, challenge the children to follow Jesus’ example. Jesus prayed for his friends before he went to be with God. Their challenge is to pray for children and adults with whom they have shared this school year as it comes to an end. 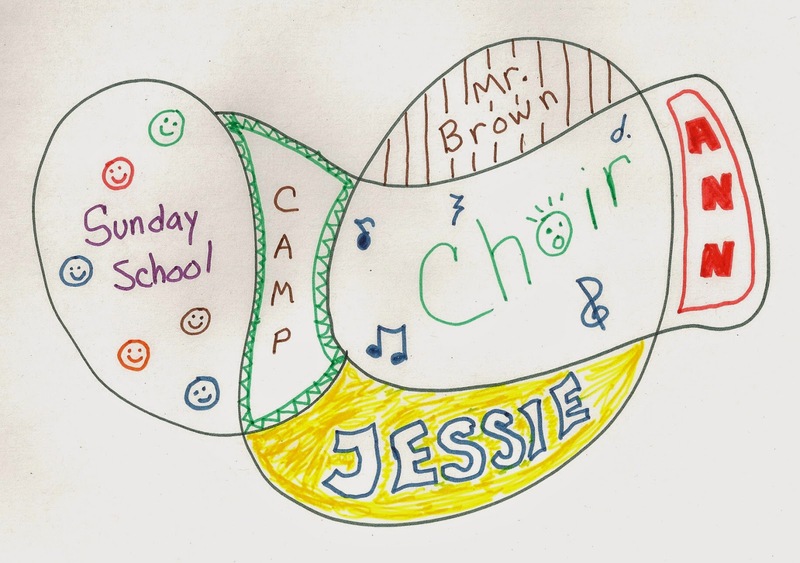 Another way to pray for friends is to make a large scribble on a sheet of paper, write the name (or draw a picture of) a friend in each section, then decorate each section with parking pens as you tell God about that friend. Children could take these prayers home, drop them in the offering plate, or mount them at a designated spot after worship. t Continue Jesus’ prayer for disciples by praying for groups or individuals in your congregation and around the world with the congregation responding to each petition with Jesus’ prayer, “Holy Father, keep them safe in your name.” To help the children participate in this, point out the prayer response in Jesus’ prayer, note it’s meaning, and practice saying it together once before praying together. To do some worship education go from this conversation to “lead us not into temptation but deliver us from evil” in the Lord’s Prayer. Identify this as a way we pray for God to be with us and protect us every day “in the world.” Conclude by simply praying the Lord’s Prayer together or by praying a responsive prayer in which you name some of the places people will be this week and ask God to be with us and protect us from evil as we work and play there. The congregation responds to prayers about each spot by praying aloud the phrase from the Lord’s Prayer. t Especially if you are a Methodist, this may be a day to explore the phrase “sanctify them”. Make the word sanctify or sanctification the sponsor of the day - ala Sesame Street. At the beginning of worship present it on a large poster which will remain displayed throughout the service. Enjoy saying the impossibly long, complicated word together. Briefly define it and encourage worshipers to listen for it in your songs and prayers. Does somebody have a good, child-friendly definition of this word? A definition of sanctification: all in by the grace of God. Fully committed to the work of Jesus or the work of the church. Or filled to the brim with the spirit of God. hmm... good definition AND to make it even more child friendly, what about being %100 God's person, or God's person every day in every place all the time. Sanctification ... daily trying to be more like Jesus. Young children usually know that Jesus loved people and helped people. I think the best definition is a little bit of both of these. Being sanctified is about being set apart, just for God, so "100% God's" is good. But it is still about how we live, and the irony is our inclination, if we are entirely for God, to not be for people. But God is entirely for people, so being entirely for God means always living to help others. I have a feeling you can make that a little more kid friendly, which I will appreciate. Thank you for your great work!